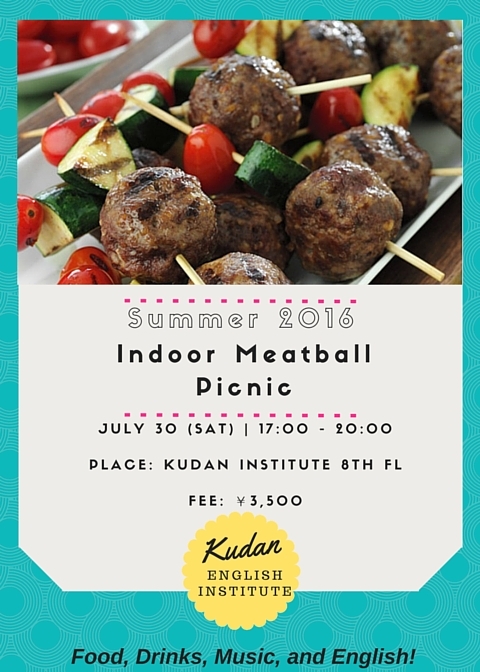 SUMMER 2016 Indoor Meatball Picnic! 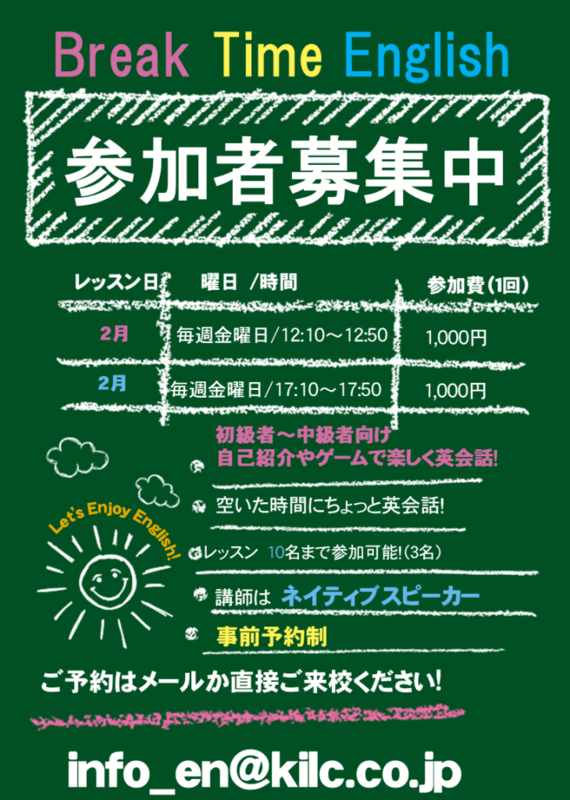 Continue to read SUMMER 2016 Indoor Meatball Picnic! 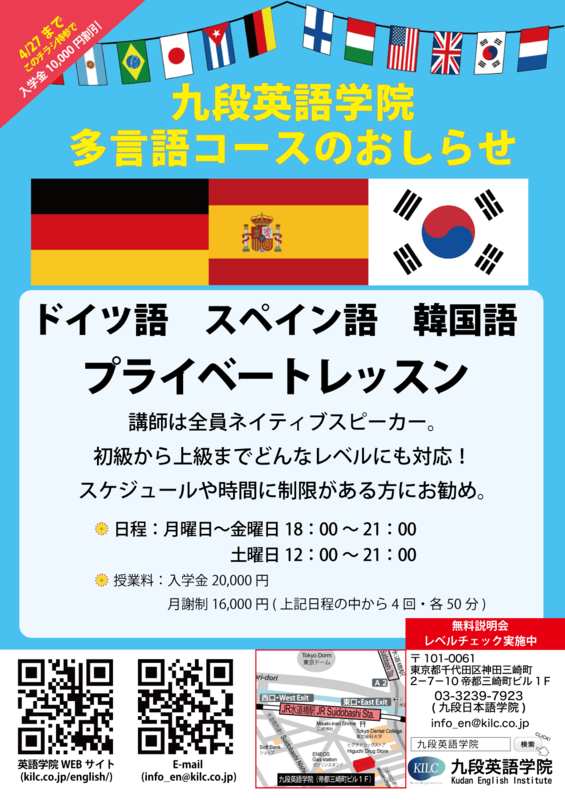 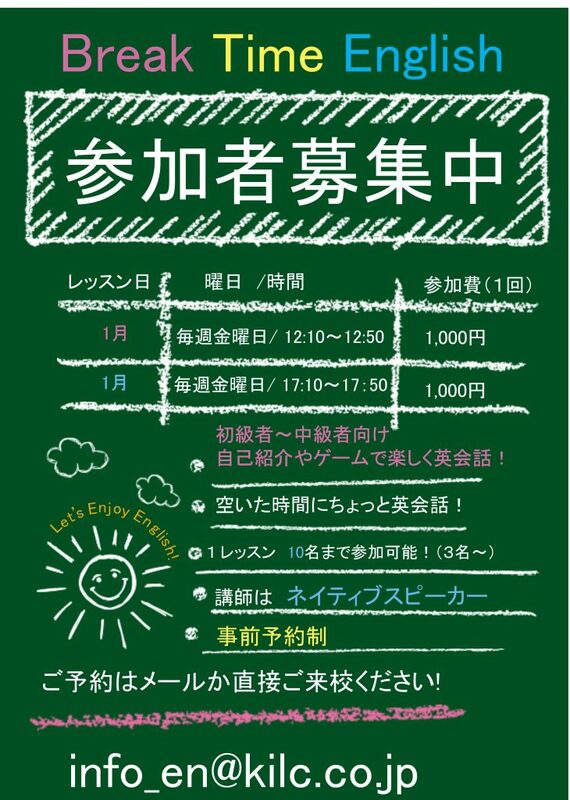 YOU ARE INVITED! 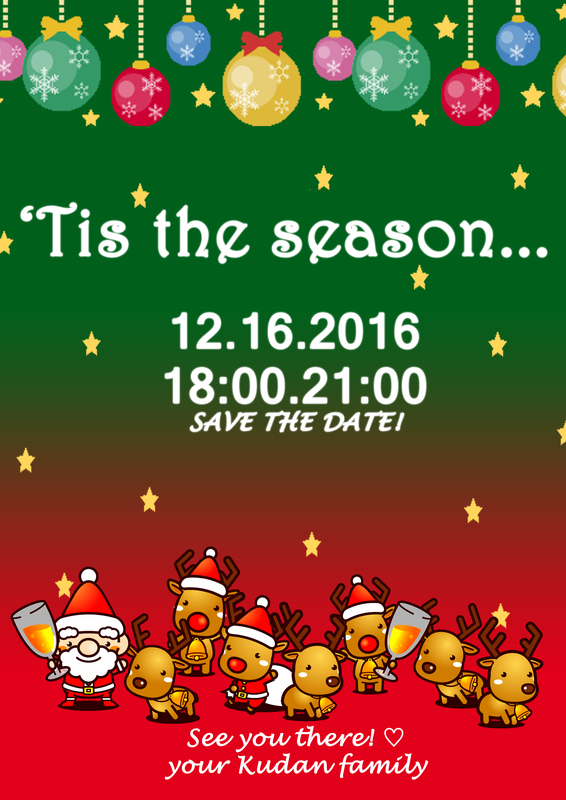 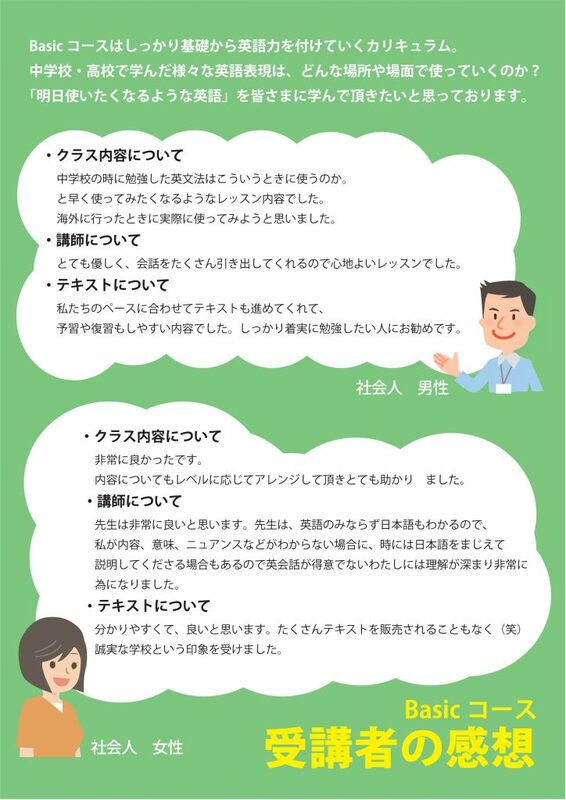 Kudan English Institute’s Christmas and Year-end Party 2015! 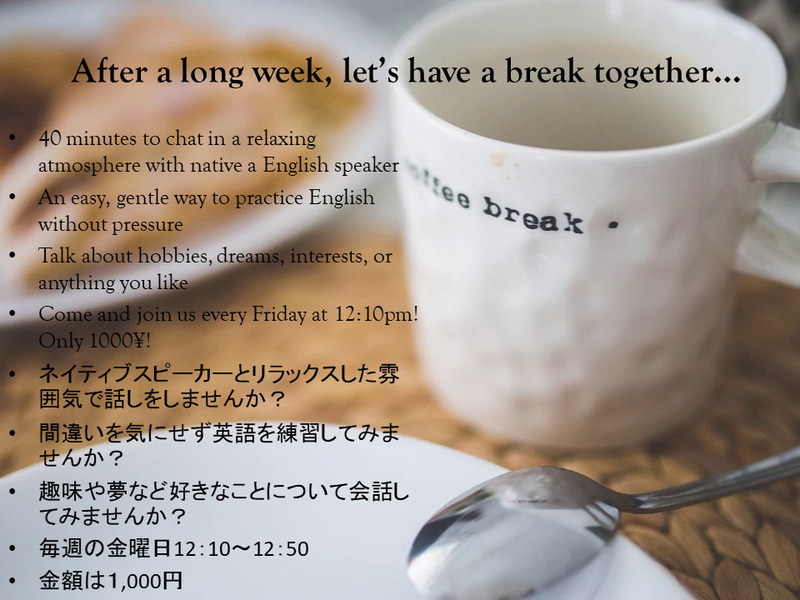 Continue to read YOU ARE INVITED! 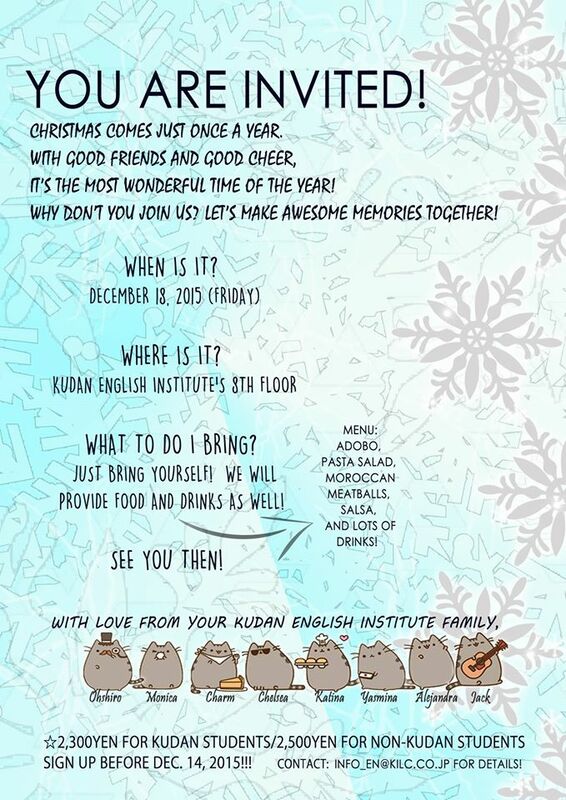 Kudan English Institute’s Christmas and Year-end Party 2015!